In Holder’s judgment (and the President’s), however, sexual-orientation classifications ought to be subject to heightened scrutiny. Holder contends that this position is consistent with the general test laid out by the Supreme Court for determining suspect classifications, but he does not contend that there is any direct Supreme Court or other federal appellate authority supporting his view. In fact, he acknowledges “there is substantial circuit court authority applying rational basis review to sexual-orientation classifications.” This turns out to be something of an understatement– the footnotes in Holder’s letter identify no fewer than nine separate circuits that have rejected the position DOJ intends to assert. (The current cases, however, were filed in the Second Circuit, which has yet to rule on the question). In other words, while the legal rulings of nine federal courts of appeals may be “plausible” and “professionally responsible,” they are not “reasonable” enough to trigger DOJ’s duty to defend DOMA. This wouldn’t seem to show much respect for the judicial branch, much less Congress. And it would suggest that there is precious little left of the duty to defend. I know what you’re thinking. How long did it take me to come up with that title? (Couple hours, tops). Anyway, as has been widely reported, Roger Clemens and his attorney, Rusty Hardin, have subpoenaed the House Committee on Oversight and Government Reform (COGR) in relation to the upcoming criminal case against Clemens for congressional perjury, false statements and obstruction. The subpoena seeks not only records relating directly to Clemens’s own statements to COGR, but documents relating to 20 other named individuals (including Chuck Knoblauch, Jose Canseco and Andy Pettitte) involved in COGR’s investigation of steroids in professional baseball. So what happens now? Under House Rule VIII, COGR is required to notify the Speaker of the subpoena. This notification will be placed in the Congressional Record. COGR is further required to determine whether the subpoena represents “a proper exercise of jurisdiction by the court,” seeks information that is “material and relevant,” and “is consistent with the privileges and rights of the House.” If these determinations are made in the affirmative, COGR is required to comply with the subpoena (absent an order from the House to the contrary). In this case it seems highly likely that the materials sought by the subpoena, consisting of information compiled in the course of a committee investigation, are protected by the Speech or Debate Clause. Indeed, Hardin should be well aware of this fact. He represented Arthur Andersen in its criminal trial, during which the company subpoenaed records from the House Committee on Energy and Commerce, which successfully moved to quash the subpoena on Speech or Debate grounds. Clemens, however, is in a somewhat different situation. He is being prosecuted for crimes committed before Congress, and it would be impossible to prosecute him without putting on evidence relating directly to legislative proceedings. Moreover, COGR referred him to the Justice Department for prosecution, so one might argue that this waived the privilege, at least for evidence directly bearing on the issues in the case. Alternatively (and more likely), COGR would remain free to assert the Speech or Debate privilege, but Clemens could seek to have the charges dismissed on the grounds that COGR’s refusal to provide critical evidence violated his due process rights. For this reason I think that there is a good chance that COGR may conclude that producing some of the records requested by the subpoena is “consistent with the rights and privileges of the House.” After all, the House wants congressional perjury to be punished. It is less likely, however, that COGR would agree to produce records having only a tangential relevance to the case against Clemens. As mentioned in my last post, D.C. Bar Legal Ethics Opinion No. 358 amplifies the 1977 opinion in a couple ways that are of interest. First, the Legal Ethics Committee (LEC) states that a prosecutor holds “a position akin to counsel for an investigative congressional committee” for purposes of the legal ethics rules. Although the 1977 opinion partly relied on decisions that prohibited prosecutors from requiring witnesses to assert the Fifth before a grand jury, it did not generally equate the positions of prosector and committee counsel. One can only imagine how lawyers for clients investigated by congressional committees might use this language. For example, Rule 3.8(a) of the DC Bar Rules of Professional Conduct states that a prosecutor shall not “in exercising discretion to investigate or to prosecute, improperly favor or invidiously discriminate against any person.” Could this provision be used to file a complaint against a committee counsel who investigates wrongdoing solely when it is associated with the other political party (or, conversely, opposes investigations against persons associated with his own political party)? Rule 3.8(f) also sharply limits the prosecutor’s ability to make extrajudicial statements prejudicial to the accused. The LEC specifically cites Comment 2 to Rule 3.8, which states that “a prosecutor should use special care to avoid publicity, such as through televised press conferences, which would unnecessarily heighten condemnation of the accused.” The logic of this position would not seem to be limited to requiring witnesses to take the Fifth in an open hearing, but could apply to any negative or prejudicial comments regarding persons who are subject to congressional investigation. Opinion No. 358 also provides some guidance on the types of conduct that might cause a lawyer to violate the ethical rules. Committee lawyers, of course, do not have the power to issue subpoenas or to decide whether hearings should be closed. These powers belong to the committee (or, in some cases, to the chairman). The LEC suggests, however, that a staff lawyer might be guilty of “assisting another in violating the rules.” It is not clear exactly what that means, but one could infer that committee lawyers have some sort of duty to refuse to assist the committee in activities that would violate the rules. How would this work in the congressional context? Suppose, for example, a committee chair directs counsel to prepare a subpoena for a witness. Can the counsel rely on this instruction as a defense? Probably not, if the chair is not a lawyer (or a member of the DC bar). What about the House General Counsel’s office, which reviews all subpoenas under House practice? Can the committee counsel rely on the General Counsel’s determination as to whether the subpoena is permitted under the DC Bar ethics rules? Perhaps, but the House Counsel is not a “supervising attorney” of the committee lawyer. The House Counsel, however, may need to ensure that the subpoena complies with the legal ethics rules, to avoid a potential charge that he or she has “assisted” the committee in violating those rules. Opinion No. 358 may open up an interesting can of worms on the Hill. In 1977, the Legal Ethics Committee (LEC) of the D.C. Bar, interpreting the Code of Professional Responsibility (the predecessor to the Rules of Professional Conduct), opined that an attorney serving as counsel to a congressional committee was prohibited by the disciplinary rules from requiring a witness to appear at televised hearings when the committee had been notified in advance that the witness would refuse to answer questions based on the Fifth Amendment right against self-incrimination. See Michael Stern, Ethical Obligations of Congressional Lawyers, 63 N.Y.U. Annual Survey of American Law 191, 192, 207-08 (2007). This opinion has long caused consternation among congressional committees and their lawyers. Among the objections to it: (1) there are legitimate reasons why a committee may wish to call a witness to testify notwithstanding an indication that he or she will assert the privilege against self-incrimination; (2) the D.C. Bar has no authority to regulate the proceedings of congressional committees; and (3) the decision of whether or not to subpoena a witness, or to close a hearing, belongs to the committee, not to staff lawyers. The LEC has now issued Opinion No. 358 (Jan. 2011), which responds to a request to vacate the 1977 opinion. (Although the source of the request is not identified, I believe it was former House Counsel Irv Nathan). The LEC analyzes the issue under the current rules and concludes that there is no basis to vacate the prior opinion. In doing so, however, it both qualifies and perhaps extends the reach of the opinion in notable ways. Opinion No. 358 acknowledges, as did the 1977 opinion, that the LEC’s “jurisdiction is confined to rendering opinions on the applicability of the ethics rules to the conduct of staff attorneys acting in their capacities as attorneys.” Thus, the opinion presumably does not apply to Members of Congress, even though many are lawyers and some may be members of the D.C. Bar. According to Opinion No. 358, the rules are not violated simply by the fact that a witness who intends to assert the Fifth is subpoenaed to do so in an open hearing. Instead, a violation occurs only if the sole purpose of calling the witness is to degrade or harass. The opinion implicitly acknowledges that there are circumstances in which this is not the sole purpose of calling the witness to appear in public, although it does not provide much guidance on what those circumstances may be. This is a significant qualification to the 1977 opinion, which has generally been understood to hold that it is per se improper to require a witness to appear in a public hearing if he or she has stated an intention to plead the Fifth. Thus, while Opinion No. 358 purports to reaffirm the 1977 opinion, it arguably makes it more difficult for a witness to use it as a basis for refusing to appear (the LEC expressly declines to opine on whether it is ever appropriate for a witness to invoke the opinion as a basis for refusing to comply with a congressional subpoena). On the other hand, there are aspects of Opinion No. 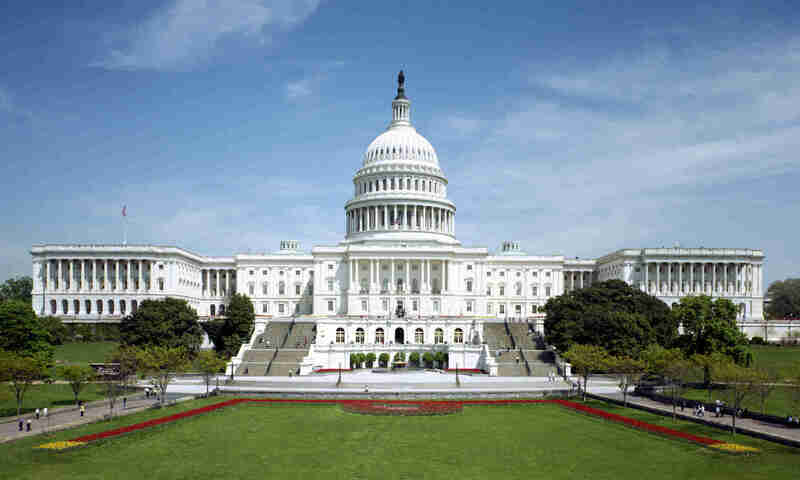 358 which could raise new problems for congressional lawyers. I will discuss those in my next post.